Despite the market downturn in digital asset values, cryptocurrency automated teller machines (ATMs) are still in vogue. According to a tweet from cryptocurrency analytics firm DataLight, the number of crypto ATMs doubled in 2018 from 2,025 ATMs in 2017 to 4,051 ATMs, signaling an increase in the adoption of cryptocurrencies in general, despite the slump in price. November will go down as a month investors won’t forget in a hurry, as bitcoin, along with the rest of the cryptocurrency market, experienced a massive slump in prices. Bitcoin, the dominant cryptocurrency, fell to $3,750 in November, as the market witnessed massive selloffs that would have bitcoin touch nearly $3,000 in December. Data from Coin ATM Radar shows that while 68 bitcoin ATMs were closed in November, 209 new machines were also installed by operators all across the world. Bitcoin of America led the way, introducing 16 new ATMs, followed closely by CoinFlip Bitcoin ATMs and Localcoin, who installed 10 and 7 new ATMs, respectively. While the U.S. remains the dominant country with 70 new installations, Peru, Albania and South Korea had their first bitcoin ATMs installed in November, the data from Coin ATM Radar revealed. Bitcoin ATMs have also been a target of criminals. 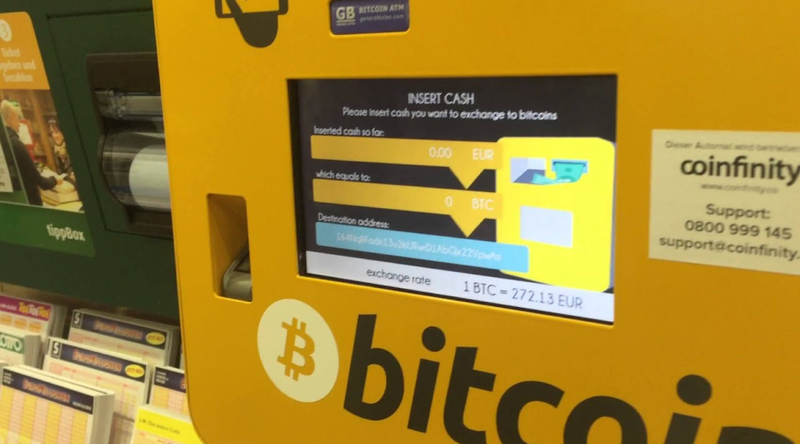 Security researchers at Trend Micro discovered malware that targets a service vulnerability in bitcoin ATMs, selling for $25,000, in an underground forum. A senior researcher at Trend Micro, Fernando Mercês, commented on the vulnerability in his report, criticizing bitcoin ATMs for their lack of security standards, which make them easy to hack. They might not be as secure as traditional ATMs, but they are still finding meaningful uses cases across the world. While providing an easy avenue to trade bitcoin, these crypto ATMs have also created a channel for pot companies that are experiencing banking restrictions. Bitcoin ATMs have made it easier for pot companies to receive payments from customers, thereby reducing their dependencies on cash. Cannabis cryptocurrency PotCoin also partnered with bitcoin ATM provider GENERAL BYTES (GB), making use of GB’s network of crypto ATMs to ease the transaction process for cannabis vendors. Virtual Crypto Technologies also developed a proprietary crypto payment solution for cannabis dispensaries that enables them to exchange pot for bitcoin using a QR code placed on the shop’s point-of-sale interface.